Recently Pod2g, Chronic and his iPhone Dev-team has released the Absinthe 2.0 Untethered Jailbreak for iPhone 4S, iPhone 4, iPhone 3GS, iPad 3, iPad 2, iPad 1, iPod 4G Touch, iPod 3G Touch and Apple TV 2G devices. If you have already Untethered Jailbreak your Apple iDevices with Absinthe 2.0 method than you're the lucky one who is getting benefit from it, but if you have Tethered Jailbreak your Apple iDevices and wants to convert it into Tethered Jailbreak than you can do it easily. The Chronic and his iPhone Dev-team haven’t forgotten those iOS 5.1.1 users who are getting benefit from a Tethered Jailbreak over the last few weeks and now they have come-up with easy Conversion of Tethered Jailbreak into Untethered Jailbreak of iOS devices including iPhone 4S, iPhone 4, iPad 3, iPad 2 and iPad 1 with Rocky Racoon 5.1.1 Untether Method. Actually Tethered Jailbreak means that users need to restore to a fresh installation of iOS Firmware’s before processing the Jailbreak again to effectively upgrade to the Untethered Jailbreak version. Now iOS users won't have to do fresh installation of their iOS Devices. Thankfully, with the Corona package that was released alongside the iOS 5.0.1 untether, the Chronic Dev Team have pushed out the Rocky Racoon 5.1.1 Untether package to Cydia to Convert Tethered Jailbreak into Untethered Jailbreak. If you're one of those iOS 5.1.1 user who have tethered jailbreak their Apple iDevices can follow the following simple steps to Convert Apple iOS 5.1.1 Tethered Jailbreak Into Untethered Jailbreak of iPhone 4S, iPhone 4, iPad 3, iPad 2 and iPad 1 with Rocky Racoon 5.1.1 Untether Method. Now let’s start the Tutorial and Guidelines to Convert Apple iOS 5.1.1 Tethered Jailbreak Into Untethered Jailbreak for iPhone 4S, iPhone 4, iPad 3, iPad 2 and iPad 1 with Rocky Racoon 5.1.1 Untether. 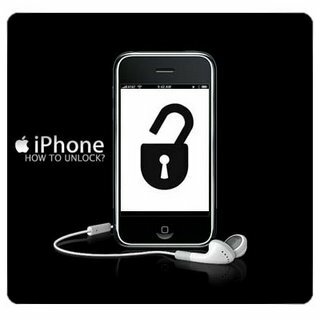 How to Convert Apple iOS 5.1.1 Tethered Jailbreak into Untethered Jailbreak? Follow the following simple steps and guidelines for successfully Conversion of iOS 5.1.1 Tethered Jailbreak Into Untethered Jailbreak with Rocky Racoon 5.1.1 Untether Method. Step 1: Launch 'Cydia' from your home screen and wait for all repositories to refresh. Step 2: Tap the ‘Search‘ icon on the bottom tab bar and search for ‘Rocky Racoon‘ (official name is Rocky Racoon 5.1.1 Untether). Step 3: Select the package from the search results and select ‘Install‘ in the top right hand corner of the interface. Step 4: Confirm the installation and wait for the package to be installed as per the usual Cydia process. Step 5: Reboot the iOS device in order to make sure that it reboots untethered and all jailbreak tweaks and Cydia are functioning. Congratulations!! You have successfully done it. Conversion of Apple iOS 5.1.1 Tethered Jailbreak Into Untethered Jailbreak is very simple like you did it now and you also must remember that the Cydia-based Rocky Racoon 5.1.1 Untether package is essentially the exact same exploit that is injected into the device when using tools such as Absinthe 2.0 and according to the Cydia description of the package if you’re boasting an iPhone 4S, iPad 3 and iPad 2, and if you uninstall Rocky Racoon Untether, then your Apple device will be Unjailbroken again. BEWARE: The above Content and Tutorial was provided by redmondpie and we at TechGlobeX don’t support or promote piracy in anyway. This article is purely for informational purposes only. Downloading and installing cracked apps are illegal. The whole purpose behind above tutorial and guidelines is for app testing and we encourage peoples to purchase original app directly from App Store.